Our caravan is adapted for wheelchair users and has ceiling hoists in the bedrooms above the beds. It has two bedrooms, both with twin beds.. There is also a double bed that can be made up in the lounge. The lounge has a TV with DVD player. 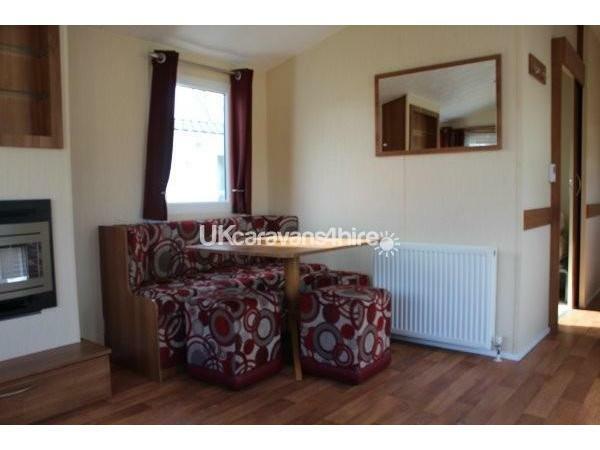 The caravan has central heating and is double glazed. The price we charge includes entertainment passes and electricity. 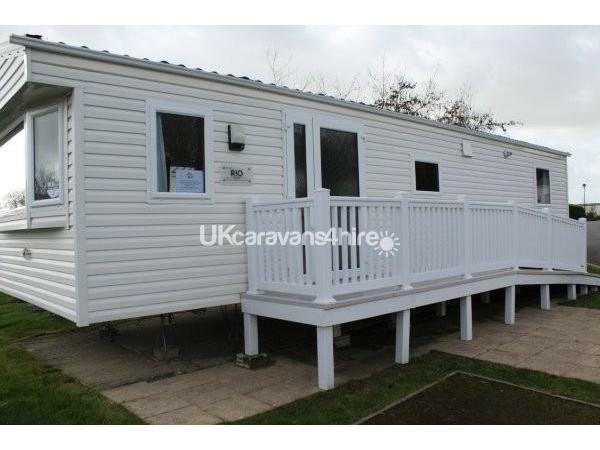 Although our caravan is wheelchair accessible anyone is welcome to hire it for a holiday. 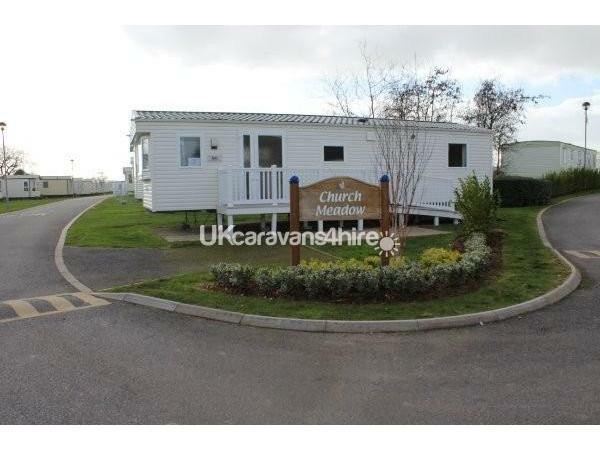 The caravan is on Church Farm Holiday Village, a five star Haven park in Pagham which is a peaceful village location , up the road from Bognor Regis and six miles from Chichester, . Church Farm Holiday Village has a flat terrain which is suitable for both wheelchairs and buggies. 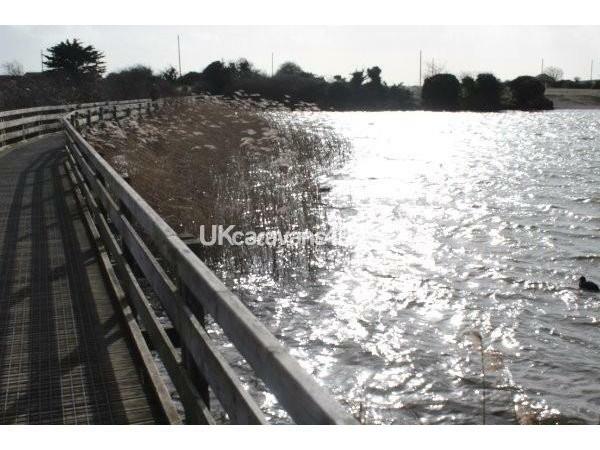 There is a lovely lagoon leading to the harbour and a nature reserve. Visit the historic Arundel Castle or Fishers Adventure Farm Park. There is also the lovely Earnley Butterflies Birds and Beasts. The heated indoor swimming pool complex has waterslides and there is an outdoor pool as well as a paddling pool for smaller children. There is an all weather multi sports court, tennis courts and all weather bowling green with indoor and outdoor play areas. 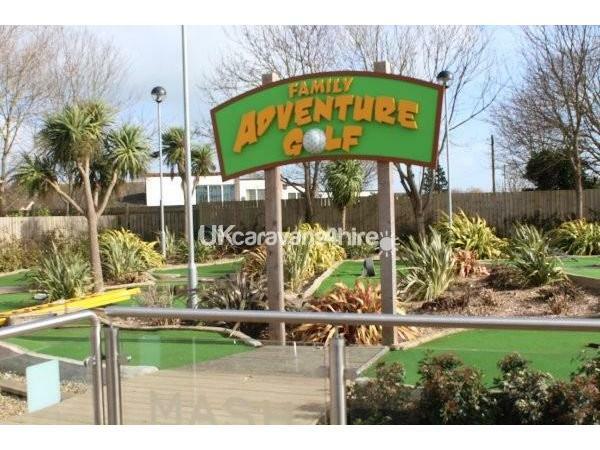 There is crazy golf, a 9 hole golf course, and bike hire available. The indoor entertainment boasts shows together with evening entertainment, touring artists and comedy shows in the evening. There are FunStars for the children with clubs for all ages providing day and evening entertainment. Follow the path between the lagoon and harbour which leads to the beach. Chichester is close by with its lovely cathedral and shops along with Hastings and the Isle of Wight. There are theme parks close by, gardens to visit and the theatre.